ST-FRM-VI Fabric Relaxing Machine is mainly used to eliminate the tension of knit fabrics; Besides, it will keep fabrics tidy for storage. ST-FRM-VI Fabric Releasing Machine is mainly used to eliminate the tension of knit fabrics; Besides, it will keep fabrics tidy for storage. Compared with the trational way from roll to plaited fabric relaxation, this model is ideal for fabrics from roll to roll relaxation with air blowing device and magnetic powder clutch for perfect tension controlling - totally released. 1). Simple Fabric Input Control. 2). 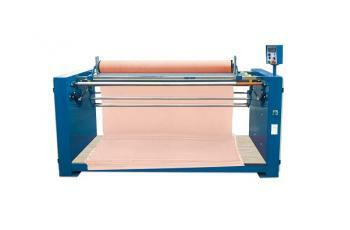 Fabric input from free running or motor driven rollers for simple and effective control. 3). Air blowing device for very good relaxation effect.